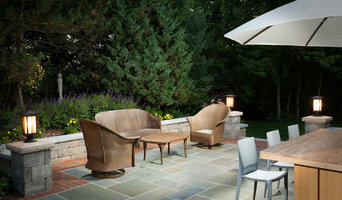 Our professional landscape architects can transform your property into an enchanting outdoor paradise. 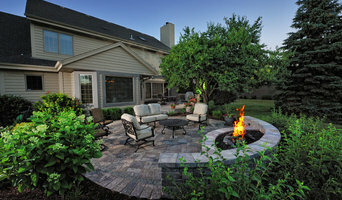 Our visionary and talented landscape designers help you to enjoy every inch of your property. At Bret Achtenhagen’s Seasonal Services, we’ll handle all of your landscaping needs season after season, so you can spend your valuable time doing things most important to you. We work together within a team environment of mutual respect, honesty and integrity As we work and live by our mission statement - Details Matter - our passion drives us to challenge our commitment toward quality, enhancing the level of excellence that we provide to our clients. All you need to do is dream it. We will be certain you achieve it. 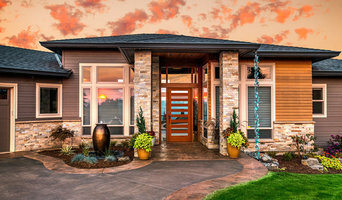 American Landscape is a family-owned and operated firm celebrating forty years of dedicated service to a variety of commercial, institutional and residential clients. Tyrrell Hughes is the Founder of American Landscape. For 40 years, he has served as the company's guiding light. 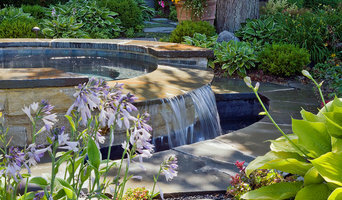 His experience in landscape maintenance, design and development, and snow management services are steeped in breadth. He has worked, planned, and helped lead in every aspect of the company's existence and that continues to this day. Tyrrell works with an extremely loyal group of clients and he deeply enjoys working on creative projects. Tyrrell was raised in a small Midwestern farming community and went to school in a one-room country school. His father was an early practitioner of sustainable agriculture and conservation, taking a rundown farm that would grow corn only 4 feet high and yield barely 35 bushels per acre, and through patience, hardwork, suffering and practicing restorative agriculture, changed that land into the most productive in the area, winning a national award in 1947. "I remember to this day my father scooping up soil in his hands in a freshly plowed field on a Thanksgiving Day, running it between his fingers, demonstrating he could tell by feel the qualities or deficiencies of that soil." These early experiences proved profoundly formative and ultimately led him to return to working the land, but in a different way than his father. In the early 2000’s, Tyrrell’s son Shea, an accomplished CPA was serving as a controller for a manufacturing company in Tennessee. Through his business experience, Shea began to have the desire to run his own company. With the timing being right, Shea and Tyrrell began having long distance discussions about the operations of American Landscape. In 2002 the talk became reality: Shea’s experience elsewhere earned him the position of managing the company and helping directly shape the next phase of American Landscape's future. In the time since, Shea has made it his mission to take American Landscape to the next level. Shea became the President of American Landscape in 2004. Under his management, we have seen significant growth in all key company landscape service ventures, particularly in design and development, a stronger supervisory staff, an advanced sales team, and implementation of fresh ideas for productivity, customer service, and overall viability.